Provide comfort for the family of Elizabeth Young with a meaningful gesture of sympathy. 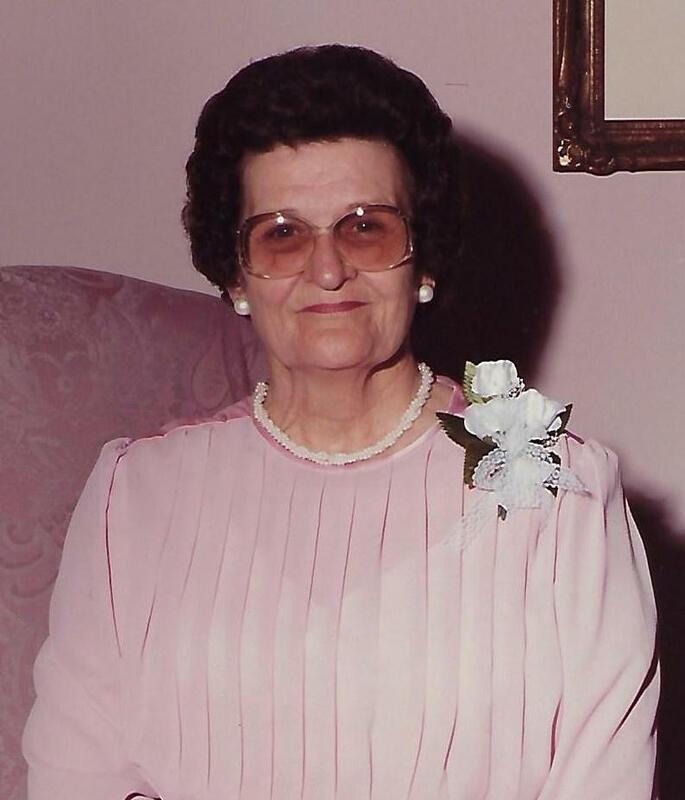 Elizabeth Catherine Young, 94, passed away on Sunday, March 10, 2019 in Grand Bay, Alabama. She was born on July 25, 1924 near Belzoni, Mississippi and raised in the Mississippi Delta. She relocated to Mobile, Alabama from her home in Greenville, Mississippi in 2000. She was preceded in death by her parents: Frank and Nona Crocker; her husband: Roy Young; and her daughter: Leta Young Volking. She is survived by her children – son: Brigham (Robin) Young of Long Beach, Mississippi; daughter: Sissy Young of Mobile, Alabama; son-in-law: Hollis Volking of Mobile, Alabama; grandchildren: Bradley (Julie) Neyman of Spanish Fort, Alabama, Ken (Sandra) Neyman of Gulf Breeze, Florida, Natalie Rogers of Spanish Fort, Alabama, Jordan (Zack) Osborn of Clinton, Mississippi and Ryan Young of Starkville, Mississippi; beloved nieces: Lynn Koestler Rector of Asheville, North Carolina, Kathy Koestler Lakey of Hendersonville, North Carolina; nephew: David Koestler of Asheville, North Carolina; eight great-grandchildren; numerous other nieces, nephews, family members and friends. She will be remembered for her love and dedication to her family, her love of animals and her love of all kinds of table games. It was there that her gentle Southern manner gave way to her true competitive nature. The family would like to express its gratitude to friends and caregivers: Cindy Sutherland, Tawanda Edwards, Mimi Shekoni and Genita Edwards, as well as the staff of St. Joseph’s Hospice and the Grand Bay Convalescent and Nursing Home for their care over the last year. A private family Memorial Service will take place on Thursday, March 14, 2019. In lieu of flowers, the family asks for donations in Mrs. Young’s memory to the charity of your choice. To send flowers to the family of Elizabeth Catherine Young, please visit our Heartfelt Sympathies Store. Provide comfort for the family of Elizabeth Catherine Young by sending flowers.